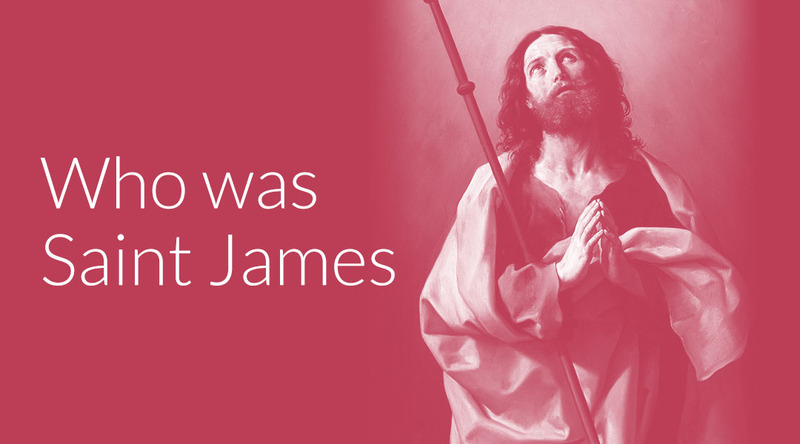 Saint James, also known as the Apostle James or James the Greater, was one of Jesus Christ’s 12 disciples. Along with his brother John and the Apostle Peter, James was a member of Jesus’ inner circle, and he witnessed major events the other disciples weren’t present for (such as the Transfiguration). 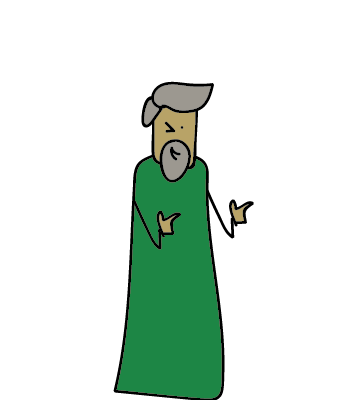 For such an important biblical figure, surprisingly little is actually known about James. Beyond the Bible itself, there are only a smattering of rumors about James’ whereabouts and activities in the early church, and legends about what happened after he died. Despite the lack of details about his life, James’ burial site is one of the most popular Christian pilgrimages after Rome and Israel. Why is he called James the Greater? The Apostle James is often referred to as James the Greater to distinguish him from James, the brother of Jesus, who is usually called James the Just or James the Lesser. Jesus’ brother James is traditionally believed to be the author of the Book of James, and he became known as a pillar of the early church along with Peter and John. Some early Christian writings also refer to James the Just as a bishop of Jerusalem. The title “the greater” doesn’t necessarily mean James the Apostle was more important than James the Just, and it probably just indicates that he was either the oldest or tallest of the two. Who was the Apostle James? Virtually everything we know about the Apostle James comes directly from the gospels. In the Synoptic Gospels, James is one of the first disciples Jesus calls. He comes onto the scene in Mark 1:19, Matthew 4:21, and Luke 5:10. When we first meet James, the writers of Matthew, Mark, and Luke all tell us he’s a fisherman. There are slight variations in each account of when James is called, but the main details are pretty consistent: he’s washing or preparing fishing nets, he’s with John, and he immediately drops everything to follow Jesus. Luke mentions that James and John are working with Simon (better known as Peter). Mark could be including the detail about the hired men to let us know that James and John didn’t leave their father helpless to make a living, since a fisherman who couldn’t afford to hire men would have been completely crippled if he lost two sons. Or, Mark might have wanted the audience to know that while they were fishermen, James and John were at least somewhat well off. As you probably gathered, those brief passages also tell us that James and John are brothers. Luke doesn’t explicitly say that James and John are brothers, but he does say that they’re the sons of Zebedee . . . so he’s at least telling us that they’re half brothers. Several other passages point out the relationship between James and John. Together, these two brothers enjoyed a privileged position among Jesus’ disciples. James died early, while the fledgling church was spreading its wings, but his brother John went on to become one of the pillars of the Christian church. There are only four times in the Bible where all of Jesus’ disciples are listed together: Mark 3:13–19, Matthew 10:2–4, Luke 6:12–16, and Acts 1:13–14. In Mark 3:17, the author includes a note about James and John, and a special nickname Jesus gave them. The Bible gives us no explanation of what this nickname implies or why Jesus gave it to them, and this is the only place the title appears in Scripture. Still, there are a number of passages that lead scholars to speculate that the nickname has to do with their temperament, religious fervor, or boldness. When Jesus and his disciples are passing through a Samaritan village, the Samaritans refuse to show them hospitality, because they are heading to Jerusalem. So James and John, being perfectly reasonable people, ask Jesus if they should call down fire from heaven to destroy the town. This is the main passage people use as evidence that James and John had hot tempers, which could have been the source of the nickname. Still, others lean on a passage that highlights their boldness, when they ask Jesus for prominent positions in the afterlife and hastily say they can do what Jesus asks. ‘What do you want me to do for you?’ he asked. While we can infer that James and John may have had explosive personalities, neither of these passages are explicitly connected to the nickname (which again, only appears in Mark 3:17). So the most we can do is speculate where the name “sons of thunder” comes from and what it implies. Peter, James, and John were Jesus’ three closest disciples. We know this because there are three accounts in the gospel where Jesus only permits these three to come with him, and they alone witness some of the most significant moments of Jesus’ ministry. After Jesus miraculously heals a woman who had been bleeding for years, he escapes the crowds swarming around him to visit a synagogue leader named Jairus, whose daughter has just died. (Jesus was on his way to heal her when he encountered the bleeding woman.) He only allows Peter, James, and John to come with him to see Jairus’ daughter, and they witness Jesus’ power over death. Shortly after predicting his death in Matthew 16, Jesus takes Peter, James, and John onto a mountaintop, where he is transfigured, and they alone see his true identity. Jesus speaks with Moses and Elijah, and then a voice from a cloud tells the disciples, “This is my Son, whom I love; with him I am well pleased. Listen to him!” Jesus tells them not to tell anyone, and he goes on to explain that “Elijah” has returned, referring to John the Baptist. For whatever reason, Jesus allowed Peter, John, and James to see and experience more of who he was and what he was capable of than anyone else. King Herod was eager to win the favor of the Jews, and since Christianity was spreading, he believed persecuting Christians would earn the Jews’ appreciation. When he killed James, the Jews approved (Acts 12:3), and so Herod had Peter imprisoned. The night before Peter was to go on trial, God sent an angel to rescue him, and he escaped the prison unnoticed. Clement of Alexandria was born a little over 100 years after James died, but it’s very possible that he had access to accounts and records that didn’t survive. And while there are plenty of legends surrounding famous Christians, this one doesn’t sound so farfetched. James’ execution wasn’t the first time Christians were persecuted, and it was far from the last. But it did mark the first time that one of the apostles “drank the cup Jesus drank” (Mark 10:39), and died on account of faith in him. In the first century, an apocryphal text called The Gospel of the Twelve suggested that when the Holy Spirit descended on the apostles at Pentecost (Acts 2), they were each empowered to speak the language of the people they were called to reach (like the Tower of Babel, but in reverse). James’ language was Latin, which was primarily spoken in the western half of the Roman Empire. But it wasn’t until hundreds of years later that someone suggested James went to Spain. In the sixth century, a text known as the Breviary of the Apostles claimed that James spread the gospel to Spain, and that he was buried somewhere near the sea, west of Spain. In the seventh and eighth century, there were poems, hymns, biographies, and commentaries repeating this assertion. And in the early ninth century, a bright star allegedly guided a shepherd to Saint James’ tomb in the region of Galicia, in what is now known as the city of Santiago de Compostela. For this to be possible, James would have had to leave Jerusalem to evangelize Spain, return to Jerusalem to be executed in 44 AD, and then have his remains transported back to Spain to be buried. This legend was widely accepted at the time, and the burial site became one of the most popular Christian pilgrimages. But most modern scholars have found little support for James’ ministry in Spain, or his alleged burial there. Even Paul makes it seem less plausible. In Romans 15, he says, “It has always been my ambition to preach the gospel where Christ was not known, so that I would not be building on someone else’s foundation” (Romans 15:20), and he goes on to say that he plans to head to Spain next (Romans 15:23–24). Most scholars don’t believe James the Greater ever made it to Spain. He died early in the Christian movement, and he died in Jerusalem. There was no mention of this Spanish missionary journey until the sixth century, and the discovery of his burial site was simply too fantastical. But despite its mythical origins, this pilgrimage—known as the Camino de Santiago—has continued to be popular even today. The Camino de Santiago (the Way of Saint James) is an expansive network of routes leading to the shrine of Saint James in Santiago de Compostela. In the Middle Ages, it was one of the most important Christian pilgrimages, just behind Rome and Jerusalem, and it has remained active since the mythical discovery of Saint James’ remains in the early ninth century. About 300,000 people make the pilgrimage every year. For many Christians, it is a religious journey or spiritual escape, but non-Christians also make the trek for fitness, recreation, and other non-religious reasons. Fun fact: For a time, the Camino de Santiago could be assigned as penance for crimes. To this day, a region of Belgium releases and pardons a prisoner every year if they agree to take the Camino de Santiago—wearing a heavy backpack and escorted by a guard. Beyond the legends of his missionary journey to Spain and his posthumous return voyage, there are other extraordinary accounts about James the Greater, two of which occur many centuries after his death. The Battle of Clavijo is a mythical battle that occurred about 800 years after James’ death. The first accounts of the battle emerged hundreds of years after it was supposed to have happened, but it was still widely accepted as historical at the time. As the legend goes, a Spanish Christian army was vastly outnumbered by Muslim invaders. So what does this have to do with James? Supposedly he appeared in the flesh and led the Christian army to victory, earning him the title Matamoros, the Moor-killer. It was a complete fabrication, but it turned Saint James into one of Spain’s biggest Christian icons. According to Mormon tradition, in the nineteenth century, John the Baptist allegedly appeared to Joseph Smith and Oliver Cowdery, and gave them the Aaronic priesthood. Smith carefully documented the event. At another time, Smith said he heard “the voice of Peter, James, and John in the wilderness between Harmony, Susquehanna county, and Colesville, Broome county, on the Susquehanna river, declaring themselves as possessing the keys of the kingdom, and of the dispensation of the fulness of times!” The Mormon church claims that in this moment, Peter, James, and John gave Joseph Smith the Melchizedek priesthood, which is the greater order of priesthood in Mormonism. Saint James plays a prominent role in the story of the church. But aside from the scattered details in a handful of passages, we don’t know much about him. He was closer to Jesus than anyone else besides Peter or John, but he died in Jerusalem not long after Jesus. While James the Greater may not have lived to become a pillar of the church like his brother John (or James the Lesser), and he probably didn’t travel to Spain, James did help Christianity thrive and spread in the years immediately after Jesus’ death, and he was clearly important enough to draw attention. As the first apostle to be martyred, James was certainly someone people were paying attention to. And while we may not know him as well as some of the other disciples, what we do know is this: Jesus saw something special in him, and perhaps we should, too. I would like to share your post in e-mail by you have not provided any link or procedures to. Kindly provide a link that I can use to share in this in Facebook. Thanks and good AM!